Having flashy, bedazzled trinkets can add a little sparkle to your room or office supplies sometimes. From gaudy phone cases that are just too cute to not have, or jeweled bottles and letters that sorority girls know how to craft in their sleep, being sparkly is good. In fact, for sophomore criminal justice major Meghan Chayka, sparkly is luxurious. 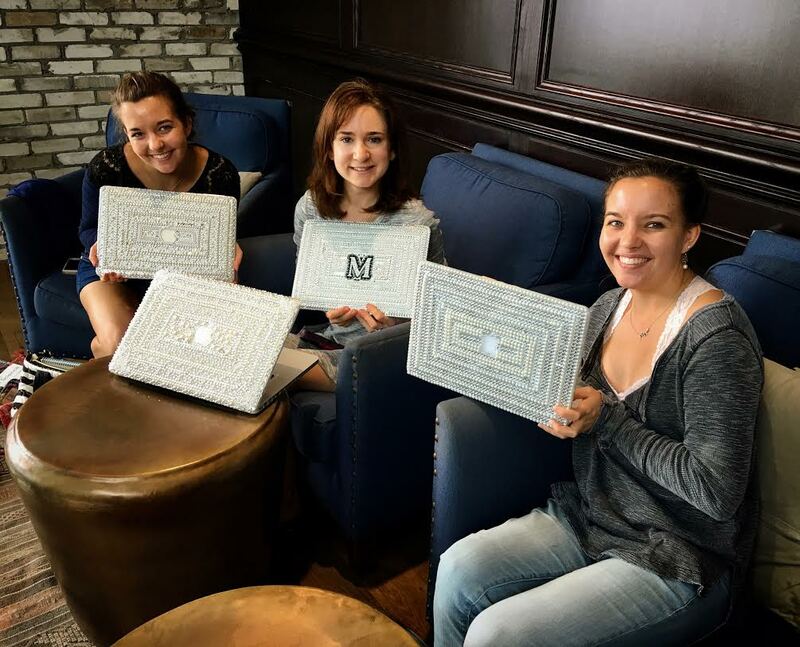 In her DIY one woman show, Chayka turns average laptop cases into lavish works of art for friends and customers through her hobby turned online business called Luxury Life: Custom Laptop Cases. Just like many of us who can get lost in the magic that is Michael’s arts & craft store’s sale section, as a freshman Chayka found herself wiping out the entire stock of the bejeweled stickers section one day, taking them home to stir up creative ideas on how to use them. According to the person’s’ design preferences, go to the craft store and buy as many jewels as needed to cover the entire case: pearls, diamonds, colors, etc. Though it may seem tedious to some, the finished product is sure to catch a few stares when whipping out your computer in class or public. Those exact reactions are how Chayka thought to turn her joy for jeweling into her very own business venture. A very personable and conscientious designer, Chayka is more than happy to cater to the ideas that a client has for a case and make that idea come to life. As of right now all order requests can be taken by contacting Chayka at customluxurylife@gmail.com. However, stay tuned because an online shop for her bedazzled creations off her personal website megpierrephotography@gmail.com is currently in the works.